Police sitcom Brooklyn Nine-Nine will officially make its return to our TV screens in January 2019. Toit. The hilarious, smart and diverse New York-based show has taken viewers on a rollercoaster of emotion both through its story and through the sudden horror of its cancellation by Fox back in May. Thankfully, NBC recognised the show’s brilliance and heard the outcry of devastated fans, sweeping the show back up just days later. The fifth season came to an end in May, but luckily Nine-Nine fans don’t have to wait too long for the return of Jake Peralta and the gang as actor Terry Crews confirmed the show’s comeback for January 2019 in an Instagram story. 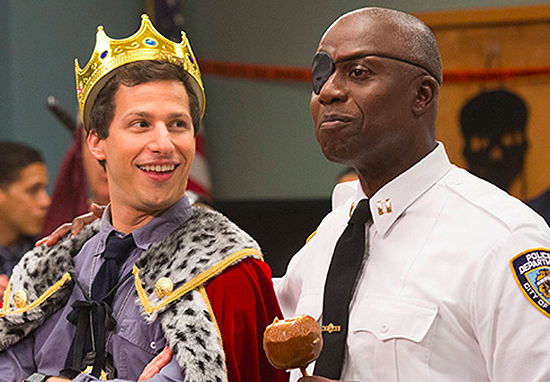 Season five of the show saw Jake and Amy tying the knot after a disastrous wedding day, and ended on a cliffhanger, leaving fans wondering if Captain Holt would become commissioner. While we’ll have to wait for season six to find out what his email said, we can be sure the upcoming series will bring all of its storylines to a satisfying conclusion. One thing we’ve learned from our brinksmanship near cancellation is that we want to write a season finale that would be satisfying as a series finale and would also serve us well should we come back. So I think we’re very conscious of what kind of finale we should do. [Creators] Mike Schur, Dan Goor, and [star] Andy Samberg grew up on NBC and we’re all thrilled that one of the smartest, funniest, and best cast comedies in a long time will take its place in our comedy line-up. I speak for everyone at NBC, here’s to the Nine-Nine! 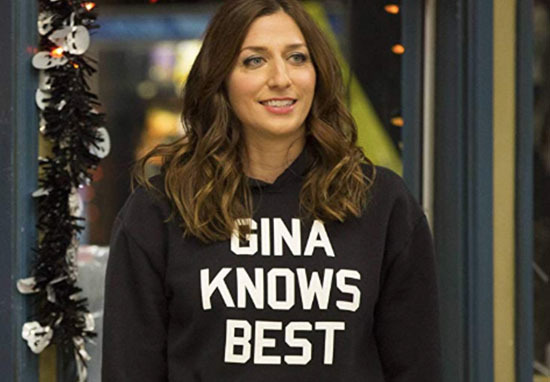 While the majority of the cast are set to return to the police precinct full-time, Captain Holt’s sassy assistant, Gina Linetti, unfortunately won’t be back for good. Right now, we’re just putting our heads down, concentrating on this season and trying to make it the best season we’ve done yet.